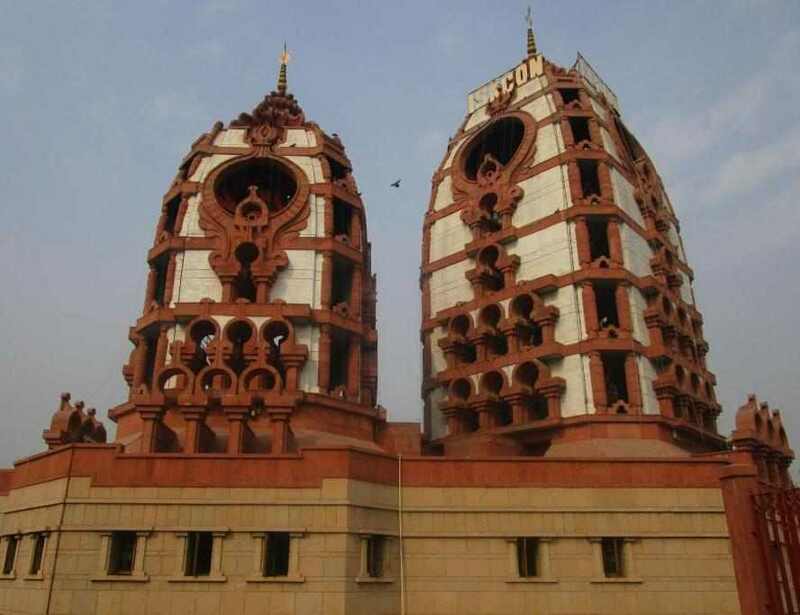 Iskcon temple is a Hindu temple located in East of Kailash, New Delhi. The real name of the temple is Sri Sri Radha Parthasarathi Mandir, dedicated to lord Krishna and Radharani. 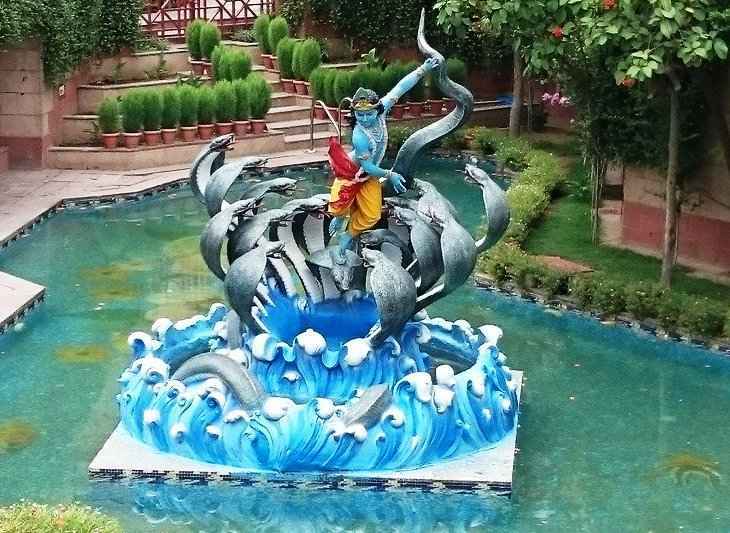 It is one of the most visiting tourist place of Delhi. The temple was designed and built by Achyut Kanvinde, construction started in 1993 and opened to the general public in 1998. 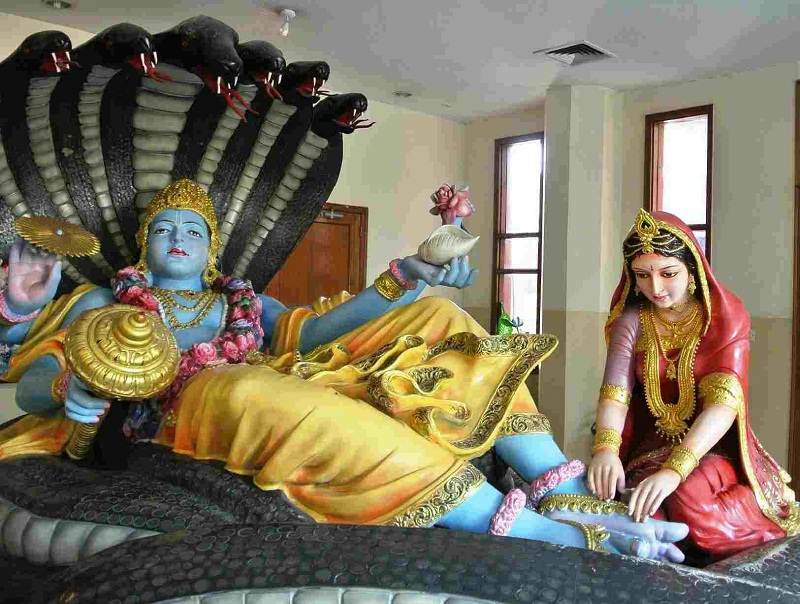 The temple is managed by The International Society for Krishna Consciousness (ISKCON). The temple recorded the maximum number of devotees at the time Shri Krishna Janmashtami. A grand celebration was organised here at the time of Lord Krishna Birth. It is located in Hare Krishna Hills and Lotus Temple is visible from here, which is around 1 KM away from the temple. The temple complex opens on all days of the week. 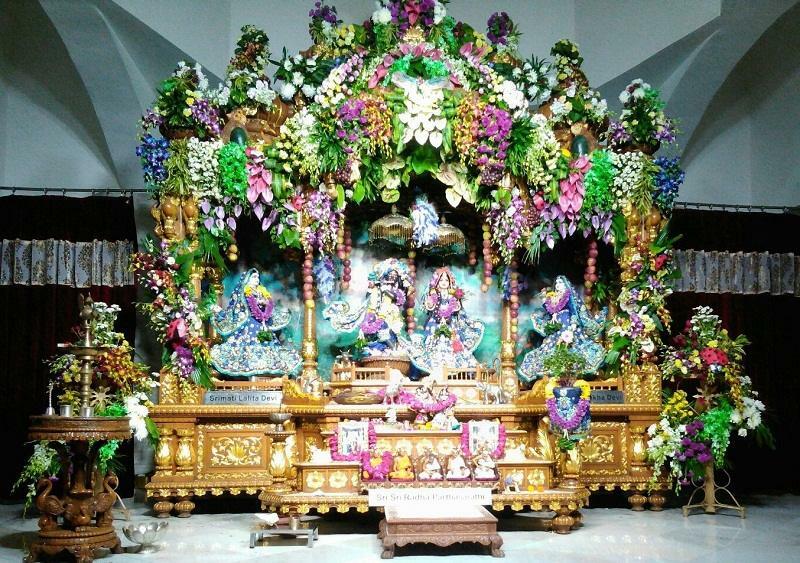 The Iskcon temple opening time is 4.30 AM and closing time is 9.30 PM. Visitors can visit the temple at any time of the day and it is advisable to avoid after noon because the main hall of the temple remains closed between 1 pm to 4 pm. Nehru Place metro station is the nearest metro station and it is just 1 KM away from the Iskcon temple. Visitors can hire a cab, auto rickshaw, E rickshaw and cycle rickshaw to reach the temple. Reach temple by walking is also a good option and it will take hardly 15 Minutes to reach the temple through Ashta Kunj park. Morning aarti timing is 4.30 AM; evening Aarti timing is 7.00 PM and last Aarti of the day performed at 8.30 PM just before the closing of temple. Govinda restaurant is located inside the Iskcon temple and timings of the restaurant is 8:30 AM to 11:30 AM, 12:30 PM to 3:30 PM, 7 PM to 10 PM. It is a vegetarian restaurant and devotees can choose from a large variety of food. Special buffet is available on Sunday and 56 bhog food is also available in the restaurant. 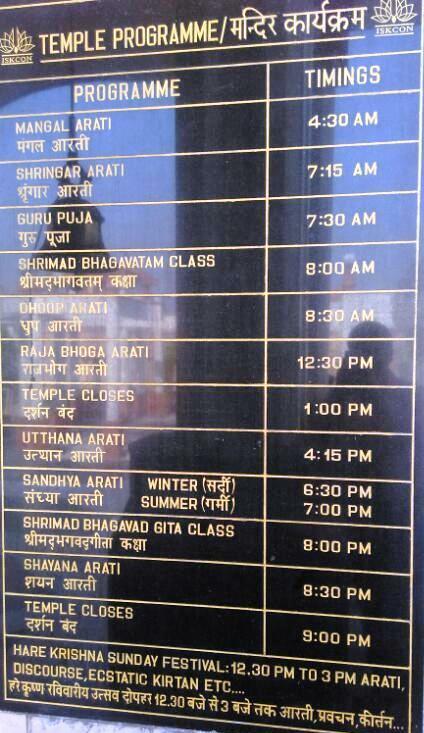 Online reservation is another facility available for the convenience of devotees. Photography is allowed inside the temple complex, however, it is advisable to take permission from the officials before clicking the pictures. Parking is present for the visitors of Iskcon temple. Visitors should visit nearby places after visiting the temple. Nearby places are Lotus Temple and Kalkaji Temple, which are located under 1 KM radius.